Paul R. Hensley,age 61 of Inez, passed away Wednesday, October 16, 2013 at King’s Daughters Medical Center in Ashland. Born October 26, 1951, he was the son of the late Russell and Ollie Bryant Hensley. 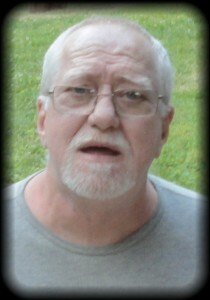 He is survived his wife, Brenda Jenkins Hensley; three sons, Jimmy Hensley of Davella, KY, Russell Hensley of Berea, KY and Paul Hensley II of Dendridge, TN; two brothers, Everett Hensley of Columbus, Ohio and Ray Hensley of Cleveland, Ohio; five sisters, Debbie Sammons of Chatteroy, WV, Shirley Fitzpatrick, Judy Havran, Kathy Kopchak and Gladys Runyon all of Cleveland, Ohio; and four grandchildren. Funeral services will be 11am Saturday, October 19, 2013 in the chapel of the Phelps & Son Funeral Home with burial to follow in the Mountain View Memorial Gardens at Maher, West Virginia. Friends may visit the funeral home from 5-9pm Thursday and from 5pm to 9pm Friday. Arrangements are by the Phelps & Son Funeral Home, Inez.